Simply Slim Xplosion T6 Fat Burner is a supplement produced by Epic supplements and sold on Amazon under the Simply Slim brand name. The company also markets another product called Extreme T5 Fat Burner and the interesting thing is both formulations are the same. The colour of packaging is the only real difference (yellow for T6, red for T5) and the nifty use of alternate names for some of the ingredients creates the illusion of two different blends. For example, Xplosion T6 Fat Burner contains 180mg of caffeine and 50mg of grapefruit extract. Extreme T5 Fat Burner has 180mg of trimethylxanthine (fancy name for caffeine) and 50mg of naringin (active component in grapefruit). This quite an unusual state of affairs, and it’s unclear why the company want to market the same formulation twice, but the fact that Xplosion T6 Fat Burner has a twin does not mean there is anything underhand going on or that it will not work. 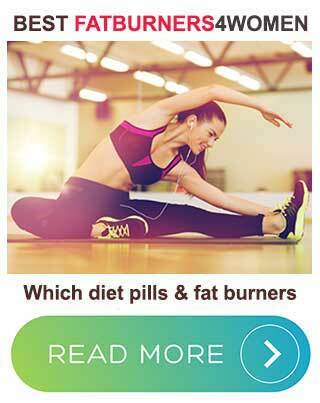 What is Simply Slim Xplosion T6 Fat Burner and How Does it Work? “T” type fat burners generally stimulate the thyroid gland and help it pump out the “T-hormones” that are responsible for governing the metabolism. The two most import ones are T3 and T4. There does not appear to be a T6 thyroid hormone, but that’s not a big issue because our evaluation of the formulation suggests this product is unlikely to be capable of stimulating the thyroid anyway. In all fairness though, Epic Supplements does not make any claims relating to the thyroid, all they’ve done is give the product a name that suggests a connection. However, if Xplosion T6 Fat Burner can live up to the promises that are made, it should have value as a workout intensity booster and offer weight loss support as well. The two main ways it could assist weight loss are by suppressing the appetite and providing thermogenic fat burning. Appetite suppressants make it easier for people to eat less food and thermogenic fat burners cause the body to lose extra calories in the form of heat. Mood stabilization is also a nice feature, because many dieters find eating less dampens their mood. L-Tyrosine (200mg): A non-essential amino acid that assists protein synthesis. The good news is, L-tyrosine really does support healthy thyroid function. The bad news is it only works if its paired with a sufficient amount of iodine and this formulation dose not contain any iodine providing ingredients. Caffeine (180mg): Scientific study proves caffeine is capable of increasing calorie expenditure, by speeding up the metabolism, and is also a thermogenic fat burner. Caffeine is a good energy provider as well, and it provides mild appetite suppression, but it’s presence here may cause problems for people who are unusually sensitive to stimulants. Grapefruit Extract (50mg): Grapefruit is rich in Vitamin C and other vitamins. It also provides an enzyme called AMP-activated protein kinase (AMPK) that appears to prevent blood sugar level fluctuations and help the body to start burning its fat. L-Tryptophan (35mg): An amino acid that’s a building block for protein. L-tryptophan may have been added here because it has mood enhancing qualities that make it useful for treating depression and anxiety. L-Taurine (25mg): Another amino acid. L-Taurine is unlikely to directly assist weight loss but it has good credentials as an energy booster because it’s a key ingredient in Red Bull and other brands of energy drink. Vitamin B6 (14mg): An important water-soluble vitamin that helps the body extract energy from food. One capsule is required in the morning. If desired, a second one can be taken during the afternoon. Alternatively, people who are using the product to enhance training capabilities are advised to take one capsule 30 minutes before starting their workout. This product must be a good seller on Amazon because it has already amassed over 1,900 customer reviews. 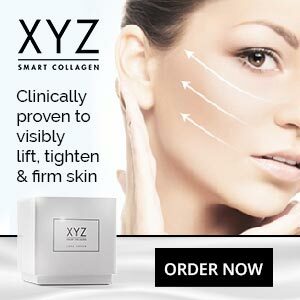 The majority of them are very good, but some customers state the product did not work for them and quite a lot of people have left complaints about side effects. 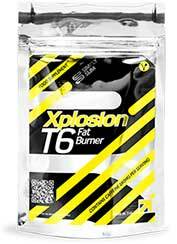 Some customers say using this product caused side effects and made them feel ill, so we suggest all potential users seek a doctor’s advice before using Xplosion T6 Fat Burner to help them lose weight or improve their performance in the gym. Xplosion T6 Fat Burner appears to be an Amazon exclusive. A money back guarantee is offered, but its duration is not specified. Some of the claims made for this product don’t hold water and it certainly doesn’t contain any powerful appetite suppressing ingredients, but it may be capable of providing modest weight loss. The driving force of the blend appears to be caffeine and the fact that its paired with L-Taurine is likely to allow Xplosion T6 Fat Burner to offer the most value as an energy provider and taking a capsule prior to training should be a good way to workout harder without running out of steam. The allegations of side effects are an issue, but although a minority of people have problems tolerating caffeine, none of the other ingredients are likely to present too much of an issue, so the reports seem a little strange. However, once again, we feel obliged to point out the wisdom of getting a doctor’s approval before buying and using this supplement for the first time. 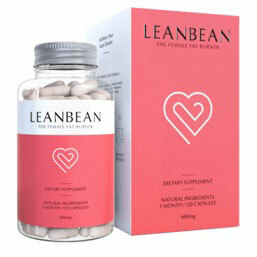 Our preference is for LeanBean – an extremely popular fat burner that has been created exclusively and purposefully for women. It contains some pretty powerful ingredients and suitable for all women, whatever their weight loss or fat burning goals are. It’s 90 day refund policy really highlights it’s customer commitment.